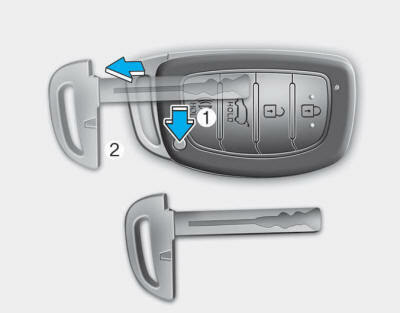 If the Smart Key does not operate normally, you can lock or unlock the door by using the mechanical key. Press and hold the release button (1) and remove the mechanical key (2). Insert the mechanical key in to the key hole on the door.